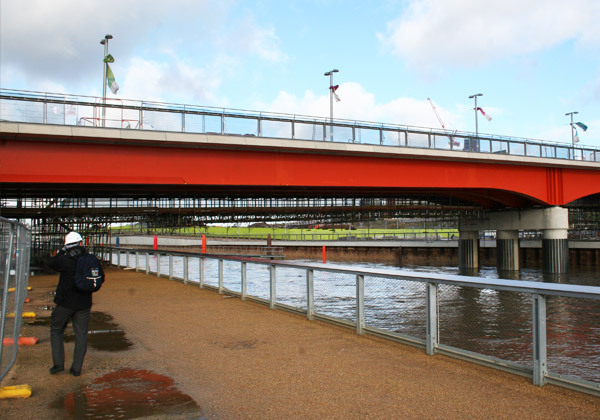 After the success of the 2012 Olympics, the Stratford Olympic Park site is undergoing redevelopment and improvements to allow it to stand as a lasting legacy. 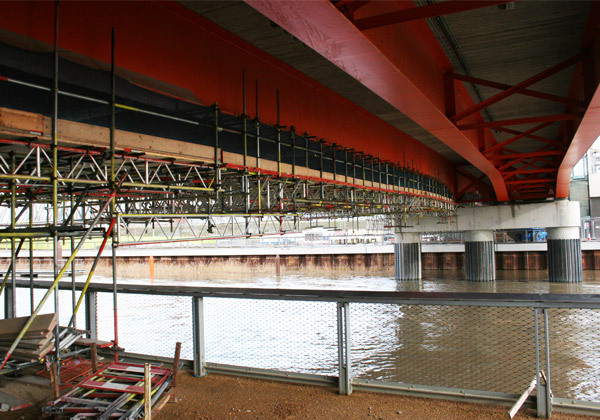 A number of the smaller temporary bridges are being removed from the park, so the primary F10 bridge is under going redevelopment to make it wider allowing it to support any load the future may bring. 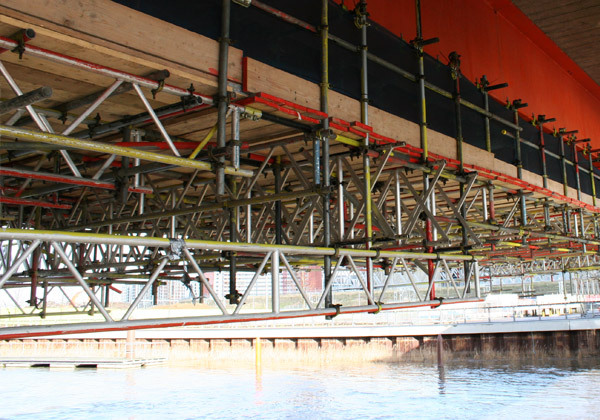 TRAD working with Skanska designed and installed a complicated birdcage scaffolding structure either side of the bridge, which was then hung over the water to provide access to the bridge whilst the work to increase the width was carried out. 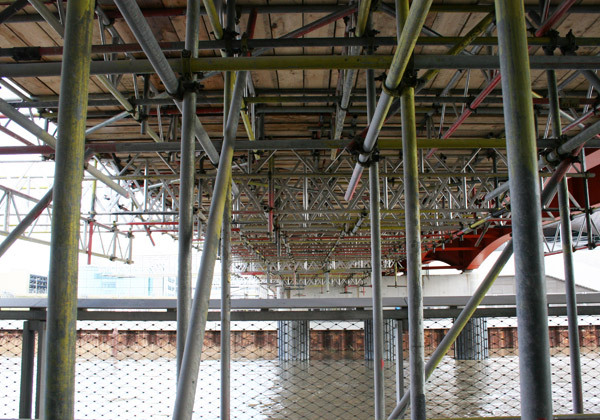 The scaffold was constructed using traditional tube and fittings.